The first stop on our Twin Cities road trip wasn’t in Minnesota at all however. Instead, it was in Ellsworth, Wisconsin. Now, what is in Ellsworth, Wisconsin you might ask? Honestly, not much. 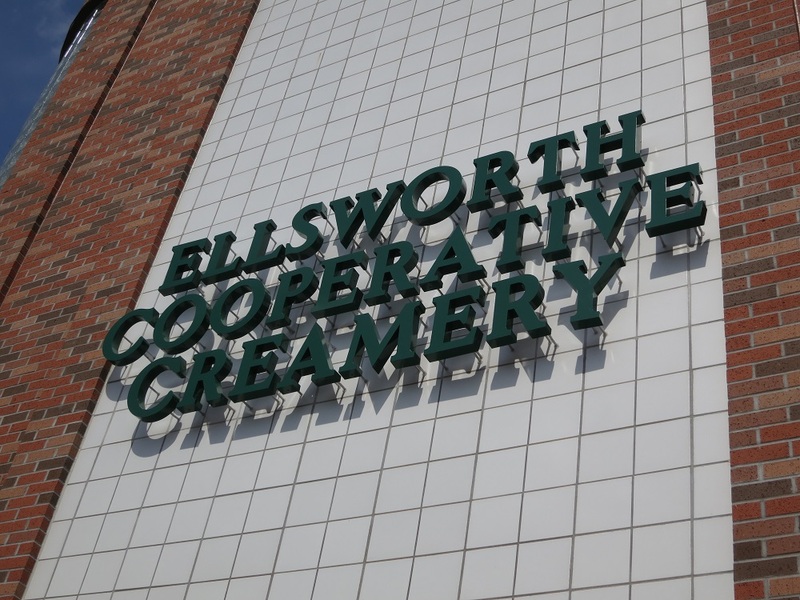 But, what is there is significant: the Ellsworth Cooperative Creamery. And THAT is what gives Ellsworth its claim to fame. It is the Cheese Curd Capital of the World. We didn’t know any of this mind you until we were almost past the exit for Ellsworth. But, after a discussion about where to get the best cheese curds, which Google easily resolved, we decided to make an impromptu detour. That’s what road trips are for, right? And we were glad we did. 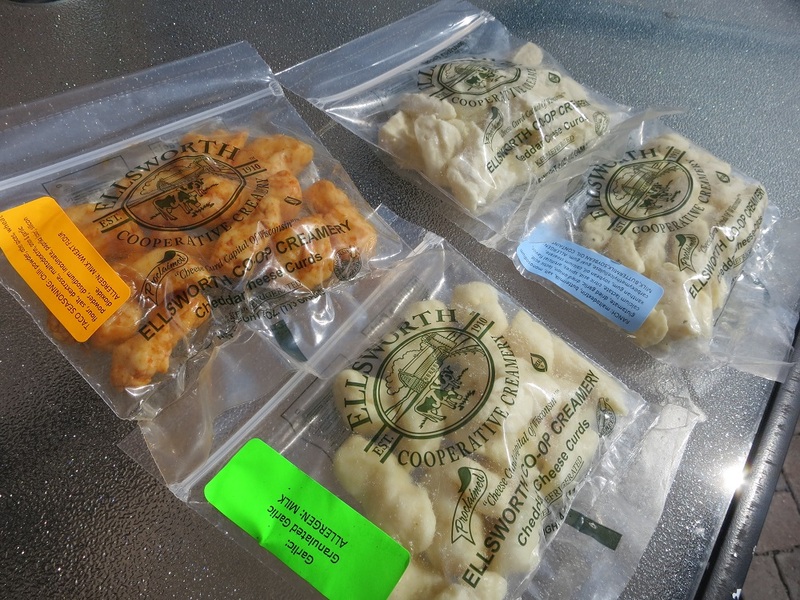 The cheese curds we got were some of the freshest imaginable—they were SUPER squeaky, as all good cheese curds should be. 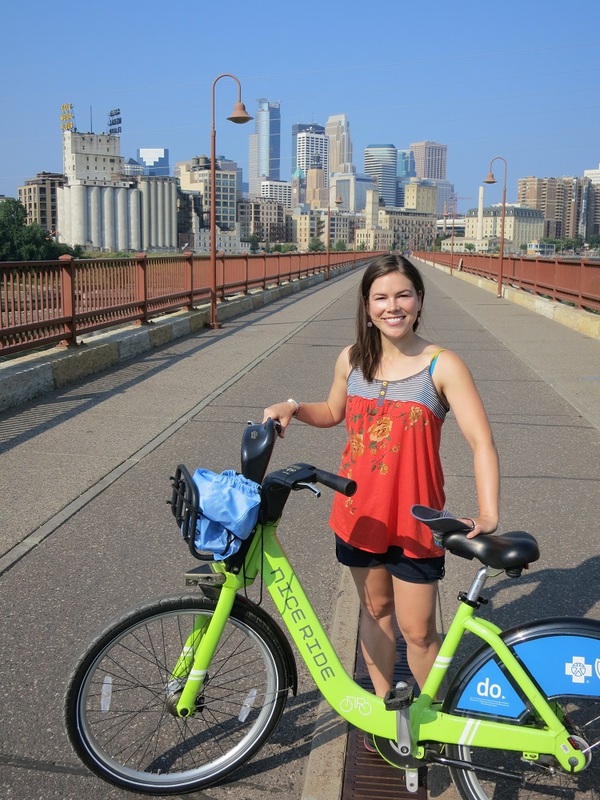 We found the Twin Cities to be incredibly accessible and easy to get around as tourists. Among other things, they have a great network of bike trails and bike lanes. Together with the bike rental system (similar, but much larger than the one recently installed here in Columbus), we were able to leave our car parked for several days at a time while we toured the city under our own power. Bike shares are great for tourists. So come to Columbus and use ours! We didn’t have to go too far for our first stop however. We stayed at a really nice apartment that Tania found through AirBnB. 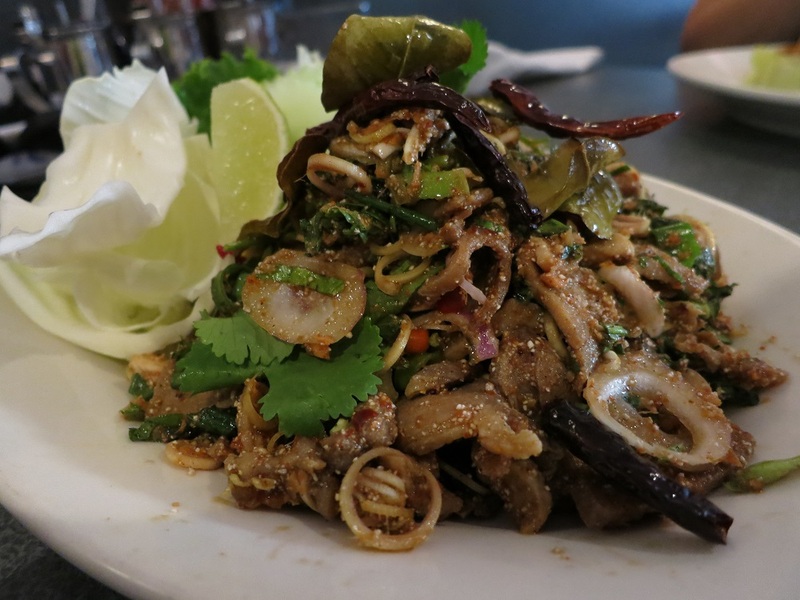 It was a relatively short walk from there to the portion of Nicollette Ave. better known as “Eat Street.” Eat Street features a whole host of places to eat—including some really great ethnic restaurants. We stopped first for a few beers at Icehouse, a place I would have gladly eaten under other circumstances. (This would be a recurring theme: too many places we wanted to try and not enough meals to accommodate them.) I had a couple of great beers from Indeed Brewing, and highly recommend their flagship Midnight Ryder; I bought a couple of six-packs to bring home with me that I plan on rationing out slowly. The helpful and friendly bartender at Icehouse gave us a few recommendations, one of which, Dangerous Man Brewing, would prove to be excellent as well. Tania’s Pad See Ew. Sweet and spicy (but manageable). You see, Tania had ordered first. She opted for the Pad See Ew. 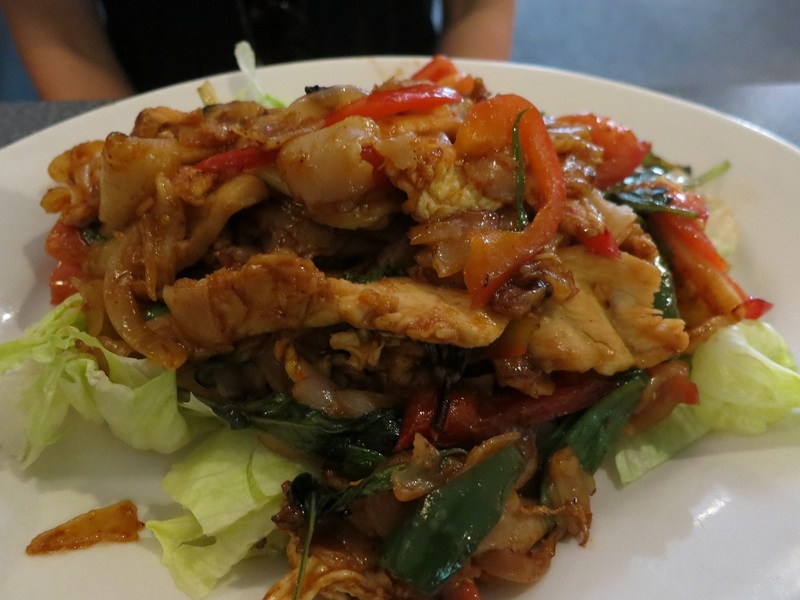 When she specified her spiciness level, the waitress told her that it was “Thai spicy.” Tania ordered it hot. So, when it was my turn to order, I also asked about the level of heat. I was told that “we don’t hold anything back.” I should have listened. There should have been red flags. But Tania had said hot, and I wasn’t going to say anything different. You know what they say about pride going before destruction? Yeah. That. My dish. Hot hot hot. We ate our second meal in Minneapolis along Eat Street as well. But it was at a considerably different end of the food spectrum. It was breakfast. 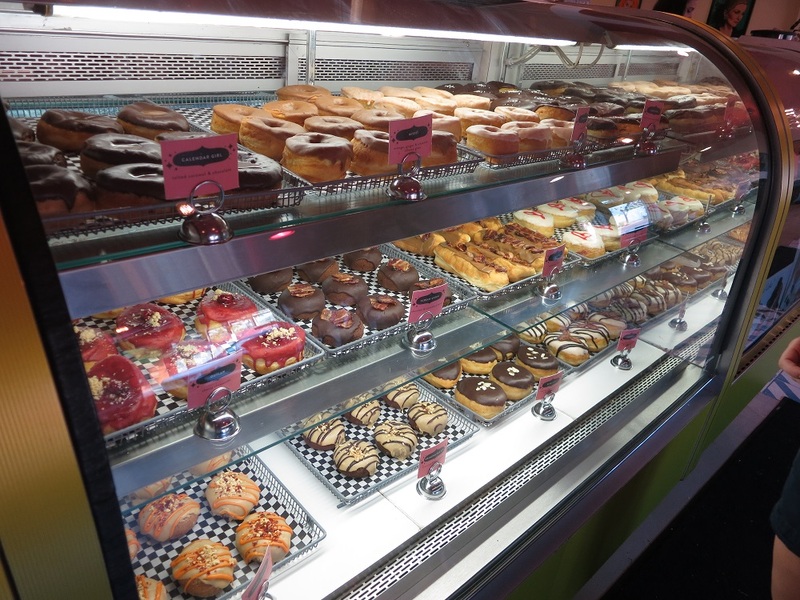 And when we’re traveling, breakfast often means one thing: DONUTS! 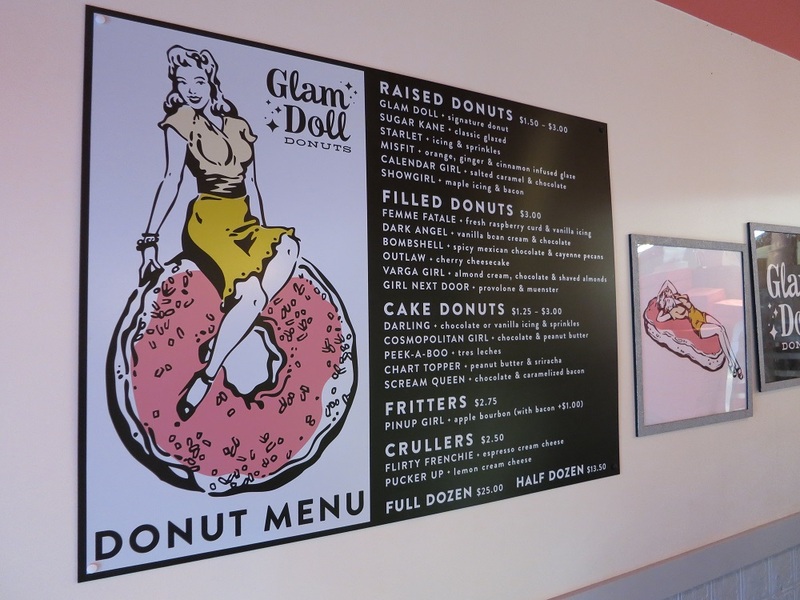 Glam Doll Donuts falls into the growing category of elaborate breakfast pastry concoctions. As the name suggests, there is certainly a glamorous pin-up theme to the place. 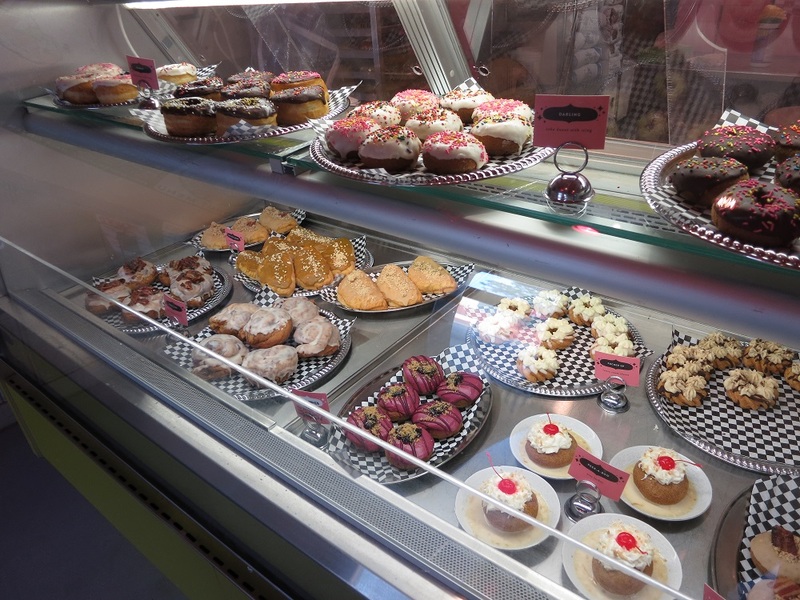 (For those of you in Columbus, this is what I imagine a donut shop opened by Liz Lessner and Co. would look like.) The donut options were vast and varied. You can see the menu for yourself here. One half of the donut case. With all of the choices, Tania and I couldn’t decide on just one (a piece). So we each picked two and split them. My choices were the Night Moves (blackberry jam, blackberry Henessy & brown sugar bits) and the Calendar Girl (salted caramel & chocolate). Tania went with the Pucker Up (lemon cream cheese) and the Outlaw (lemon cream cheese, cherry icing & brown butter crumb topping). Of the four, my favorites were the Night Moves and Pucker Up. But they were all great, and if I lived anywhere nearby, you better believe that I’d be making it my mission to try all the flavors offered. Sigh. 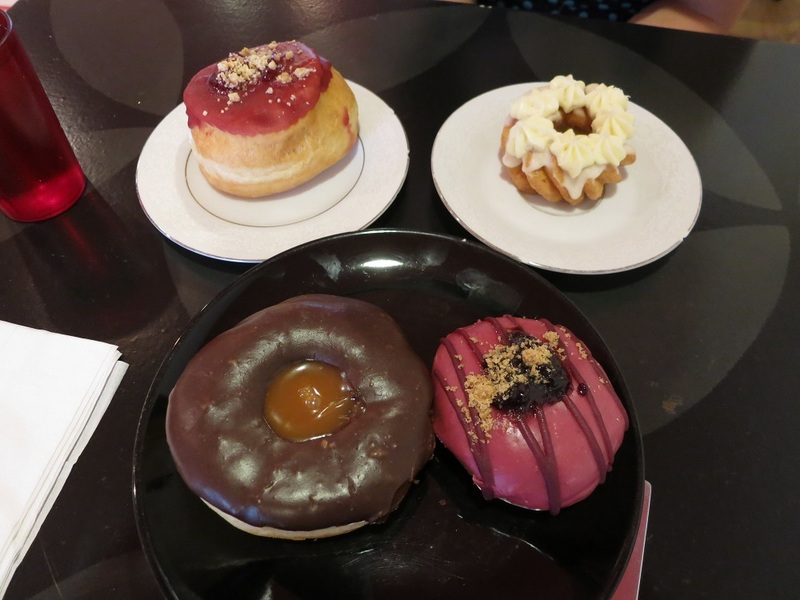 The four donuts that we (regretfully) limited ourselves to. It was ok that Tania and I each ate two donuts (ok, Tania had one and a half, and I had two and a half), because we spent the rest of the morning biking and walking around Lakes Harriet and Calhoun. 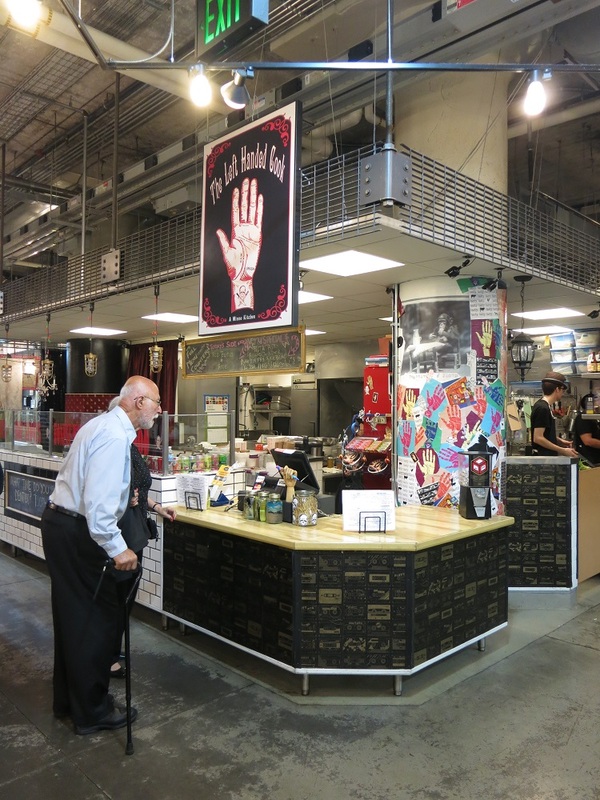 And we kept biking on over to the Midtown Global Market, where we were presented with a large variety of lunch options. Having done my research ahead of time I already knew what was on the menu from me: poutine from The Left Handed Cook. Now, poutine may be having something of a moment right now. But, if there was a competition for best poutine iteration, the version I had at The Left Handed Cook would be a serious contender for the championship. 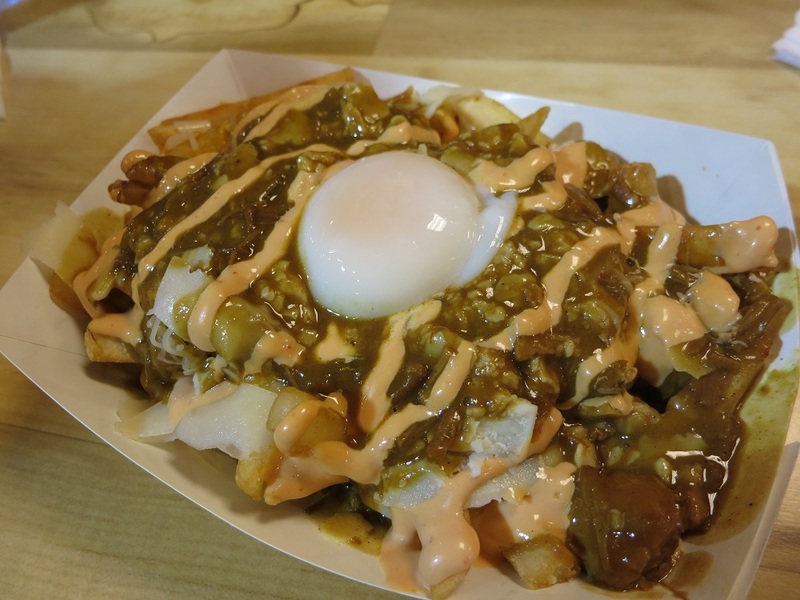 Applying a Korean-fusion twist to the traditional Canadian dish, the poutine consisted of fries topped w/pork belly curry gravy, onions, kimchi, parmesan, Cheddar, soft poached egg, and chipotle aioli. So good. So, so, good. In the running for the best poutine I’ve ever had. Tania loves bi bim bop (She really loves it. Like, a LOT.). So it was no surprise that she got a rice bowl—the Bok Bok to be specific. 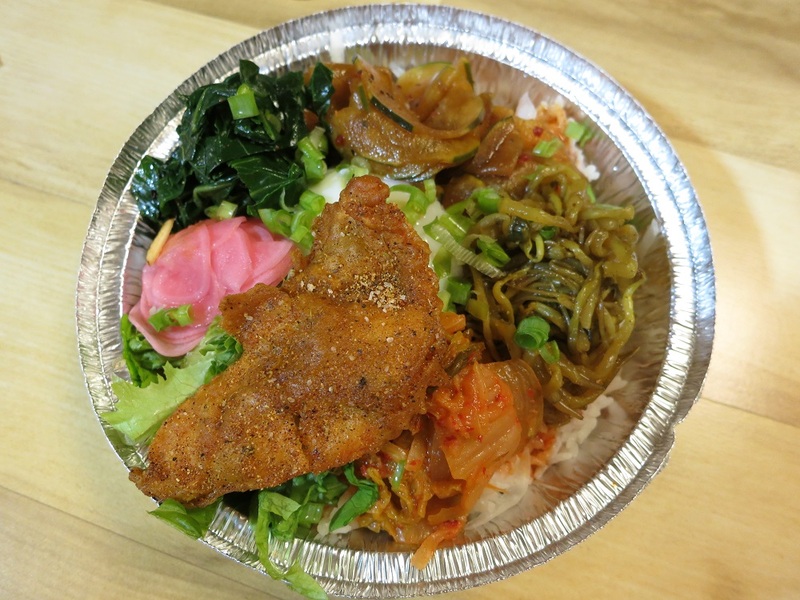 Similar to what you’d expect from any bi bim bop, it was served on a bed of rice with an assortment of vegetables. The twist came with the protein, which took the form of a breast strip of The Left Handed Cook’s highly regarded 21 Spice Fried Chicken. Again a great combination and one that Tania was definitely satisfied with. Rice bowl with 21 Spice Fried Chicken. 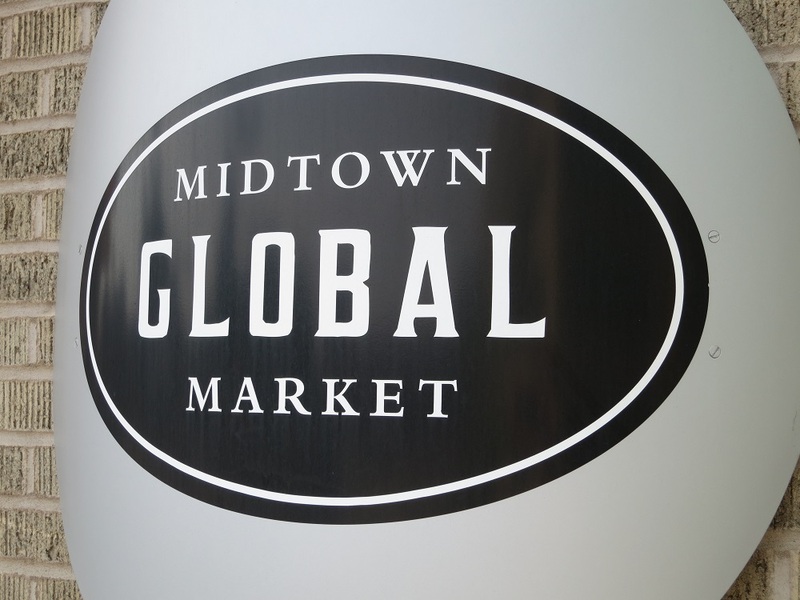 Also calling the Midtown Global Market home is Salty Tart. Now would be as good of a time to mention that Minneapolis seems to have more than its fair share of James Beard award winners. (Hear that? Time to share them with the rest of us!) 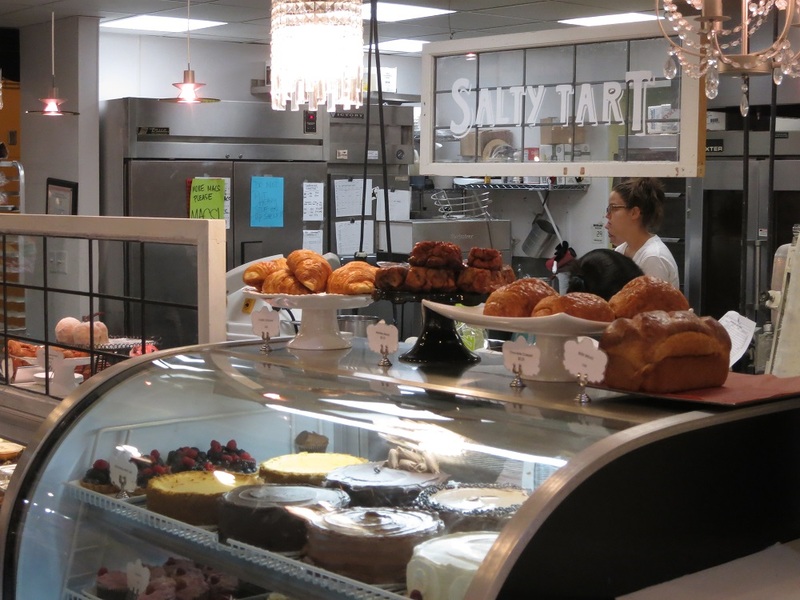 Our trip to the Salty Tart was our first brush with one of them. Once I saw the dulce de leche chocolate cake, I knew that I was going to be eating it—and soon. When I bought it, they helpfully told me that it would taste best at room temperature. And having both eaten it patiently after letting it sit out, as well as impatiently straight from the fridge, I must agree. The flavors were much more pronounced and balanced. Sadly, I have no photos of my cake. You’ll just have to use your imagination. 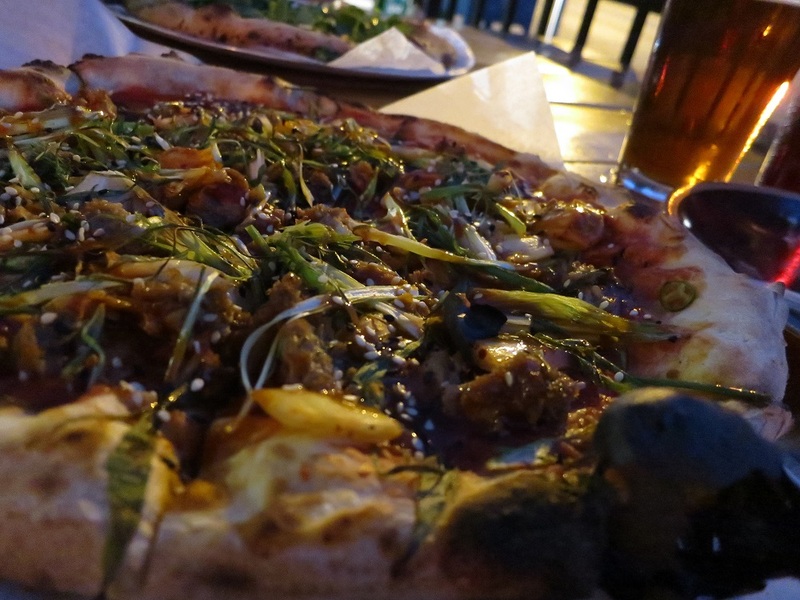 There are MANY pizza places in the Twin Cities all which receive their fair share of critical and popular acclaim. It was a daunting task to try and pick just one at which to eat; we could have been in Minnesota for a week and eaten just pizza probably if we wanted. Thankfully, much has been written about the various pizza options, so at least we had a guide in making a decision. 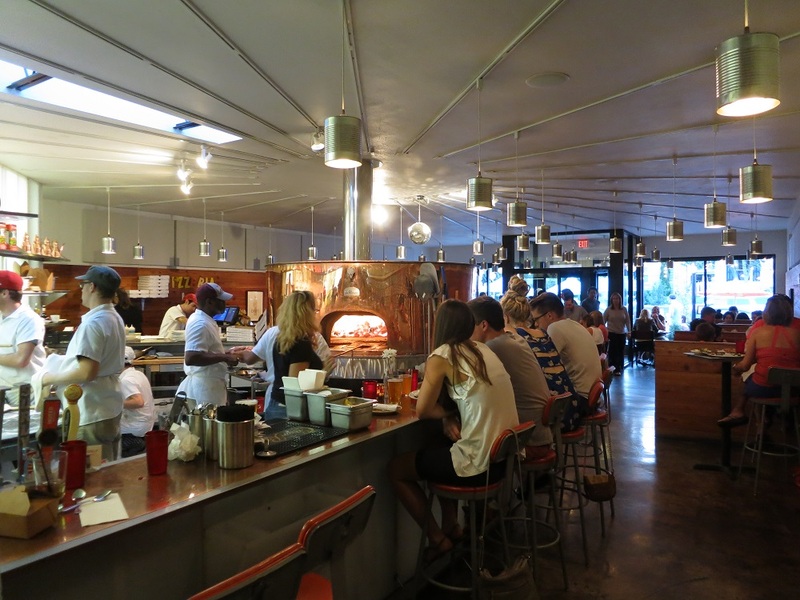 And we decided on Pizzeria Lola. One of deciding factors—at least for me—was this review from Serious Eats. Not only do I put a lot of faith in Serious Eats as a publication, but their description of the Lady ZaZa pizza made my mouth start watering immediately. I knew I wanted to eat it. Fiery pizza oven, source of delicious pizza. 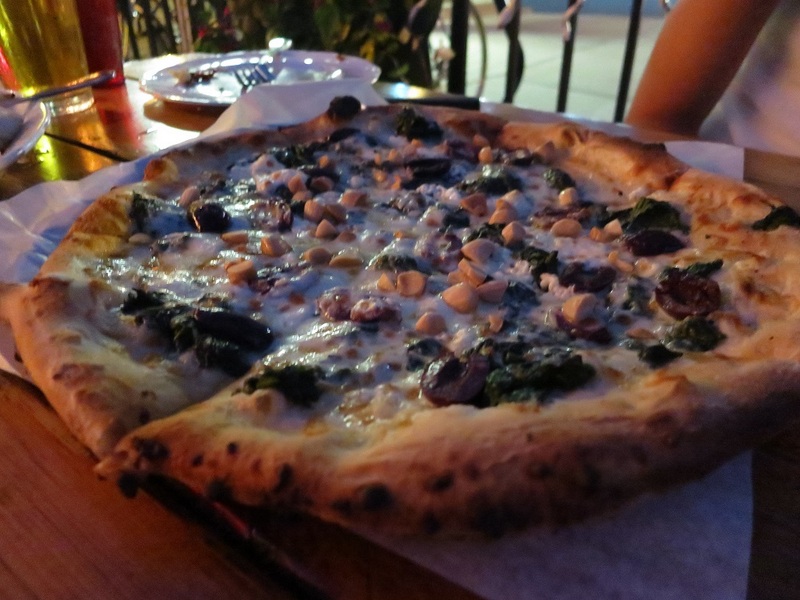 Not only was the pizza great, but our dinner at Pizzeria Lola was greatly enhanced by being able to catch up with friends from college that I hadn’t seen in four or five years. Even better, as a group of four, there were more pizzas to try (and to photograph). Each was good, and offered something a bit different. 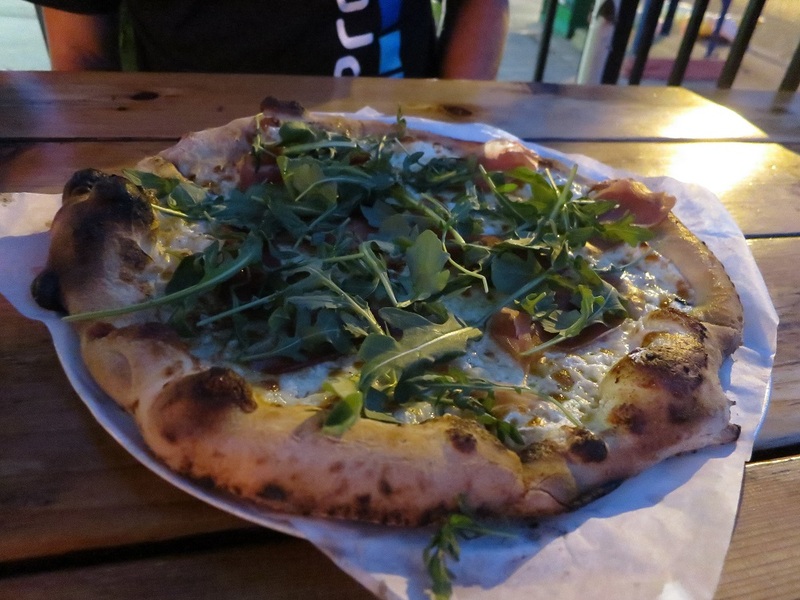 But all were built on the delicious and well-made crust, fired in Lola’s awesome pizza oven. The Lady ZaZa pizza, my favorite of the ones we tried. 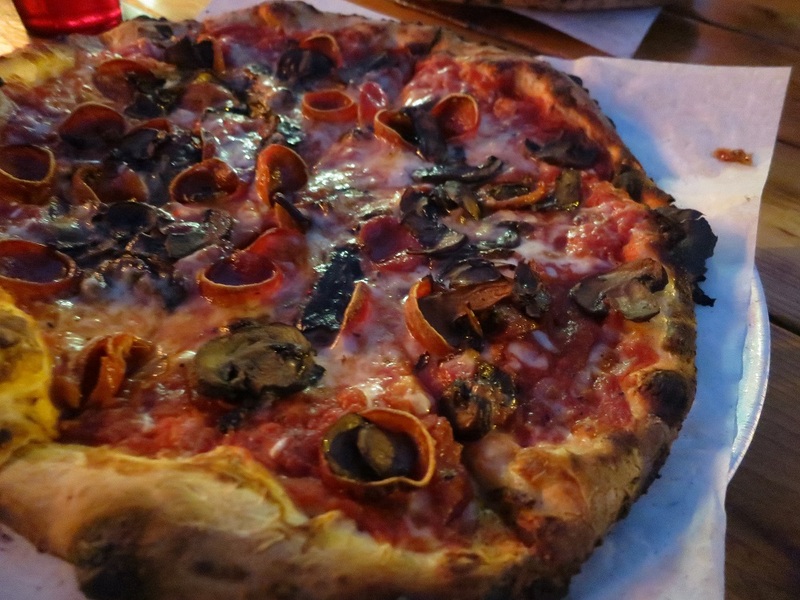 Traditional pizza — pepperoni and mushroom. Ok. That was about HALF the trip to Minneapolis. I had intended for this to be just a single post. But as I write, I realize that it could go on much longer than I anticipated–and probably much longer than my average reader’s attention span. So, in the interest of not boring everyone to death, I’m going to stop here and pick it up again later in the week. I promise, I’ll update much sooner than last time; I won’t leave you with a cliff-hanger. After all there is some great stuff to come, including recaps of Parka and The Bachelor Farmer.